Of the many possible animal phobias, a fear of arachnids is one of the most common. 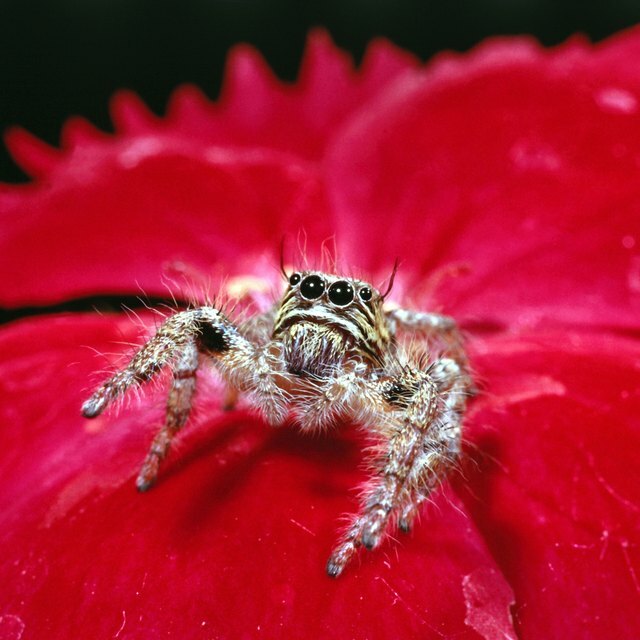 Ironically, very few spiders pose a threat to humans, and even dangerous spiders play an important role in the ecosystem. The key is being able to identify which ones should be avoided. North America has its fair share of venomous spiders. Species include the infamous black widow, the hobo spider and the brown recluse. 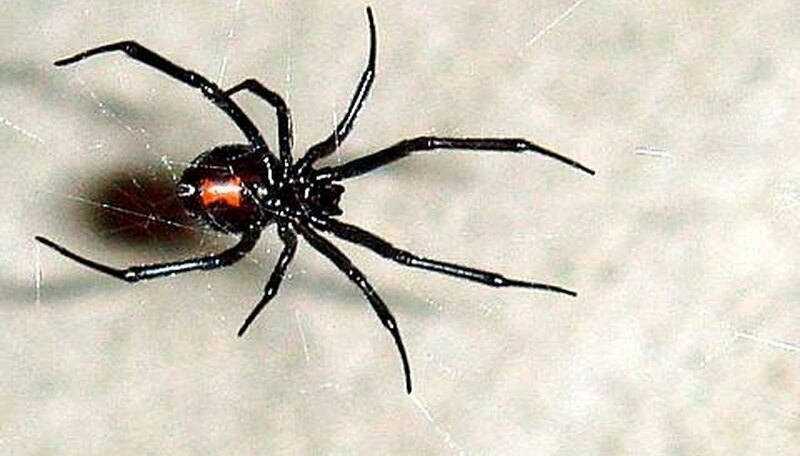 The black widow is most common in the southwestern United States, though it can be found throughout North America. It prefers cluttered areas, such as wood piles, junkyards and garages. The hobo spider of the Pacific Northwest dwells in similar areas, though it is rarely found above ground level due to its poor climbing skills. The Midwestern brown recluse lives up to its name by hiding primarily beneath logs and rocks. Identifying a female black widow is fairly simple. While almost entirely black, this spider has a telltale red or orange marking in the shape of an hourglass on the underside of its bulbous abdomen. With its legs fully stretched out, the female black widow can reach a length of up to 1 1/2 inches. A male black widow is not as easy to identify, however. It is considerably smaller than the female, and its coloration ranges from gray to pale brown. Its hourglass marking is faint and sometimes difficult to spot. The male black widow is relatively harmless. A hobo spider is quite large, measuring up to two inches in leg span. Both males and females are brown with a series of yellow, chevron-shaped markings on their abdomens. Males have a pair of large palps, which resemble boxing gloves, close to their heads. Females have more pronounced abdomens. While both genders are dangerous, the venom is more potent in the male. A mature brown recluse is generally the size of a quarter. It is brown in color and very often has a violin-shaped marking on the top of its head. Unfortunately, this marking can also be found on different types of spiders, and therefore cannot be used as the sole means of identification. However, the brown recluse is unusual in that it has only six eyes instead of eight. The male and female look very similar and are equally dangerous. A female black widow's venom is poisonous to nerve tissue, and the victim of a bite often experiences abdominal pain, muscle cramps and generalized weakness. More severe symptoms include nausea, fainting, chest pain and elevated blood pressure. The bites of the brown recluse and hobo spider are similar--both can cause blisters, which eventually break and leave open wounds. The venom can even cause tissue death. Additional symptoms include nausea, shock and fatigue. A victim of any spider bite should seek immediate medical attention. It is often believed that spiders are aggressive creatures and will bite unprovoked, but this is very rarely true. The hobo spider, the brown recluse and even the black widow tend not to attack unless they feel threatened. Death by a spider bite, while certainly not unheard of, is also uncommon. All bites can be treated medically. Katie Johnson is a native of Los Angeles and has been writing professionally since 2009. Her published work on eHow.com and Travels.com includes several articles relating to health, science and travel. She is a graduate of UCLA's Writers' Program, which provided her with extensive studies in novel, short story and essay writing. Johnson, Katie. "Types of Poisonous Spiders." Sciencing, https://sciencing.com/types-poisonous-spiders-4779519.html. 24 April 2017.